A few nights ago, I had the opportunity to view the first episode of a three-part series entitled “Begin: The Leadership Years” just produced for Israeli Channel One (public television), directed by Levi Zini. 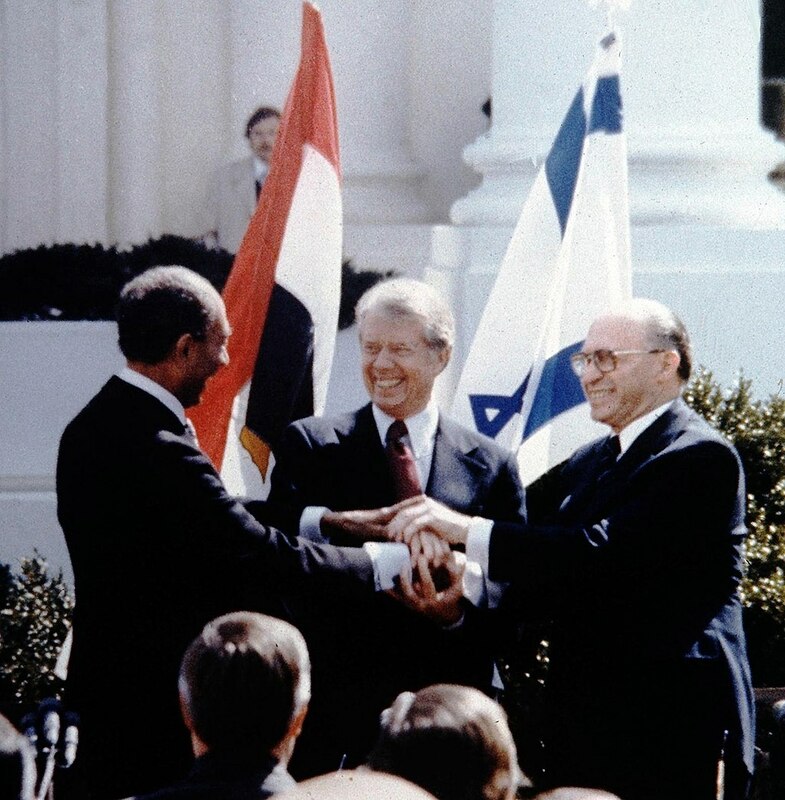 This episode is on the leadership of Prime Minister Menachem Begin in the planning and negotiations for the historic peace agreement with Egypt, which was signed at the White House in Washington DC on March 26, 1979 (only a few months before I made aliyah to Israel, in June of that year), exactly 40 years ago. It was an honest and at the same time a highly appreciative review of Begin’s courageously unique contribution to the peace with Egypt, which has lasted to this day. This superb documentary film brings to light much archival material which helps us understand the mindset and the determination of Menachem Begin in his persistence and success in achieving peace with Israel’s former foremost existential threat. I was still living in the United States when the peace accord was signed with Egypt and I remember well watching it on television and shedding a few tears. 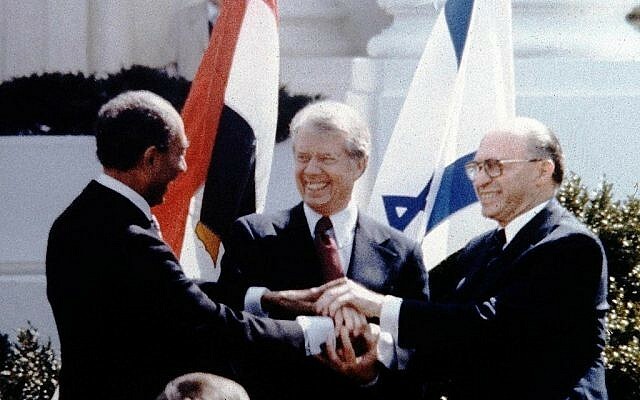 Who would have believed in those years—not long after the Yom Kippur War of October 1973, that Menachem Begin would pursue peace with any Arab country, let alone Egypt. After all, he was the former leader of the Etzel underground Jewish group that fought the British in the 1940s and later the leader of the right-wing Herut and later Likud political party, who gave outrageous anti-establishment speeches for decades that helped him lose the election for prime minister of Israel 8 times. Indeed, when he finally defeated Shimon Peres and the former Labour party in 1977 (48 seats to 47!!) in Israel’s most famous mahapach (political upheaval), many people in Israel and abroad (including me) thought that it was going to be the end of the world for Israel, and were deeply troubled by this unexpected political development. This film clearly shows the priority that Begin placed on securing peace with Egypt and the amazing efforts he made—despite much opposition within his political party and among many of the citizens of Israel—to successfully achieve this goal. The archival footage shows clearly that he thought that it was more important to make sacrifices for peace rather than sacrifice young men on the altar of future wars. It also helps us understand why –only a few years later—he resigned as prime minister in the midst of the first Lebanon War, which he was tricked into expanding by Ariel Sharon, then defense minister, and which sent him into a 9 year depression where he almost never left his home in Jerusalem. The ancient Jewish people gave the world the vision of eternal peace, of universal disarmament, of abolishing the teaching and learning of war. Two biblical prophets, Isaiah and Micha, having foreseen the spiritual unity of man under God – with His word coming forth from Jerusalem – gave the nations of the world the following vision expressed in identical terms: ‘And they shall beat their swords into ploughshares and their spears into pruning hooks. Nation shall not lift up sword against nation; neither shall they learn war any more’. Despite the tragedies and disappointments of the past, we must never forsake that vision, that human dream, that unshakable faith. Peace is the beauty of life. It is sunshine. It is the smile of a child, the love of a mother, the joy of a father, the togetherness of a family. It is the advancement of man, the victory of a just cause, the triumph of truth. Peace is all of these and more and more. In a brief discussion after the screening of the first episode in this three-part documentary series, filmmaker Levi Zini shared his personal disappointment that there was so little celebration of the peace agreement in Israeli society this year. He would have hoped for this, but shalom is not very popular in Israel these days, he said. Indeed, the war process has replaced the peace process during the last 19 years. Israel has fought one more war with Lebanon (summer 2006) and 3 wars with Gaza, and is, as of this writing, apparently on the brink of another war with Gaza. There is no courageous leadership—like the leadership of Menachem Begin– in securing the peace agreement with Egypt or that of Yitzhak Rabin in achieving the Oslo Accords, which held out so much hope for the Jewish People and the Palestinian People in the early 1990s. Such forward-looking leadership has been missing in Israel for a long time. Not only that, but this film makes us deeply miss the leadership of Begin in staunchly supporting democracy, the judicial system and the rights of minorities, as a dignified Jewish Israeli liberal democratic nationalist. This stands in stark contradiction to the right-wing populist extremists who “lead” Israel in very dangerous directions today, who have moved very far from the vision of a Jewish and democratic Israel that was espoused by Menachem Begin. As a footnote, I would add that the political party which I support—Meretz—sent out a text a few days ago, reminding us of Menachem Begin’s commitment to shalom, especially to the peace with Egypt. What an irony. His own party has abandoned the peace process, leaving it to other parties to keep alive the commitment to peace that Menachem Began initiated 40 years ago. Let us remember and celebrate the peace between Israel and Egypt. 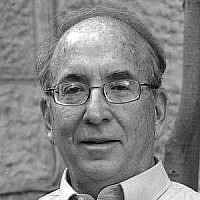 And let us look forward to the day when daring and dedicated political leaders will once again arise—on both sides—who will secure the peace between Israelis and Palestinians which is so desperately needed—instead of “living by the sword forever”—for all people in our region, Palestinian Arabs and Israeli Jews alike.